Speaking to event planners day in and day out – we at MeetingPlay continuously hear the same priority pouring from their mouths – event engagement. Whether it’s attracting attendees to their event through pre-event engagement, keeping them engaged during their event, or leveraging on that engagement post-event – engagement often seems priority #1 when it comes to event professional’s desires for events. One way that MeetingPlay helps leverage and build that attendee engagement for event planners, is through QR codes at events. 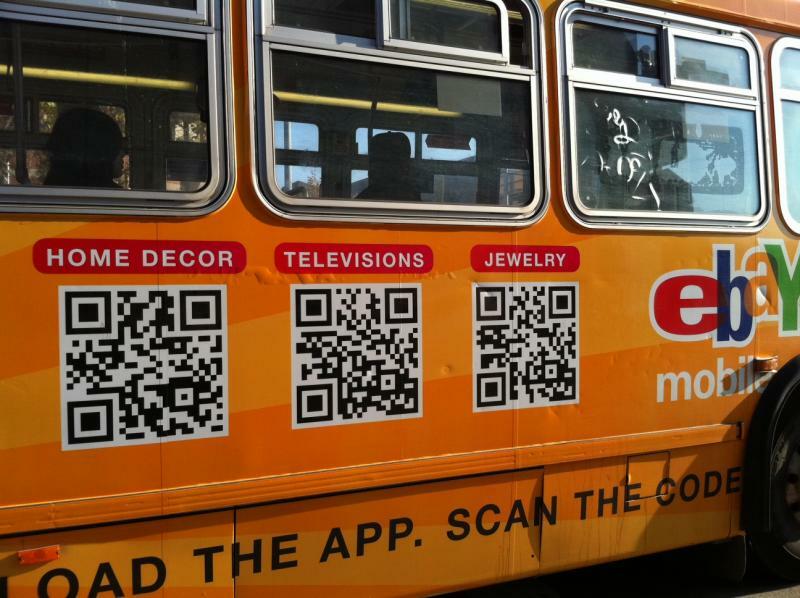 Believe it or not, you probably see QR codes daily– if not more oft. Whether it’s in a magazine advertisement, on a local businesses’ storefront, on a can of soda pop, the back of your ketchup bottle, or even in the bottom of your shoe. When you use your smartphone (or other mobile device that has a bar-code reader on it) to scan a QR code, you are usually taken a to landing page (a url) of information. In 2014, eBay did a marketing campaign around QR codes, that when were scanned – would land people on specific categories within the website. 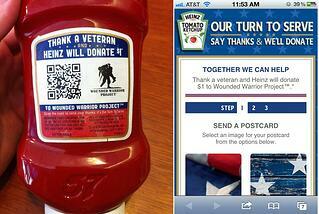 In 2011, Heinz ketchup used QR codes on the back of the ketchup bottles to generate revenue for the Wounded Warrior Project. For every scan someone made from their ketchup bottle, Heinz donated $1. Great, you’re thinking. But what does this mean for me as an event planner and for my events? That’s where MeetingPlay comes in. MeetingPlay’s QR scanning feature adds fun and engagement to your event through gamification potential, networking opportunities, and more. Attendees name badges are equipped with unique QR codes. When someone scans the QR code, that attendees personalized event app profile appears. Attendees can save the profiles to a list to remember to network with after the event, to send one-on-one messages to, take notes on the individual, add their contact information to their phone, and more. Step up the engagement by gamifying your QR codes at your event. Whether it’s encouraging engagement and meetings through points and awards, QR codes can help amplify your event’s gamification. Delight your sponsors by giving them custom QR codes for the booths. Attendees can save sponsor/vendor information for later – setting up alerts and reminders to revisit the booth, or to connect with the sponsor (or learn more) after the event. Additionally, Sponsors can have QR codes set up to send attendees to their own landing page on your mobile event app, that provides further detailed information about what they have to offer. QR codes can assist in speedy event registration. Attendees can sign in at the event quicker by utilizing their QR code – and event planners can delight as they can watch the real time analytics of who's checking in! Whether you’re looking to build and drive engagement at your next event, or you just want to speed up the process of on-site registration, MeetingPlay can help you do it all (and more) with the use of QR codes.